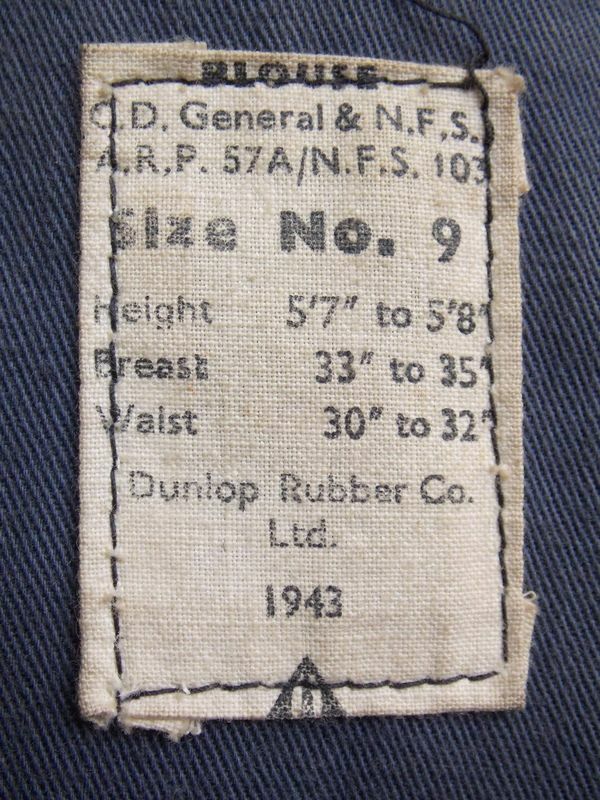 The vast majority of Civil Defence clothing and insignia was ascribed its own Pattern Number. 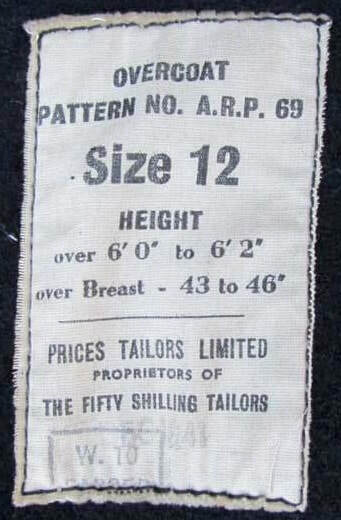 A list of uniform sizes is also available. 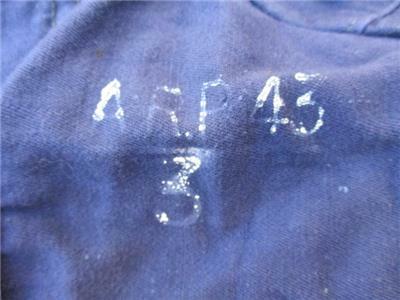 An excellent reference for Civil Defence uniforms is Air Raid Precautions Memorandum No. 17 1944. 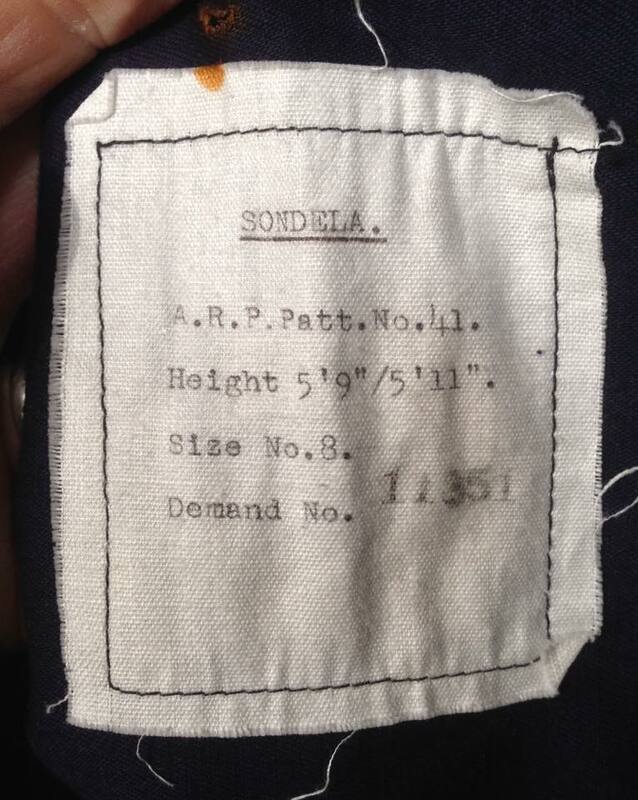 * This printed breast badge was sewn onto Rescue Battledress and issued to Merchant Seaman who had lost their kit. They were not on an Civil Defence duties. 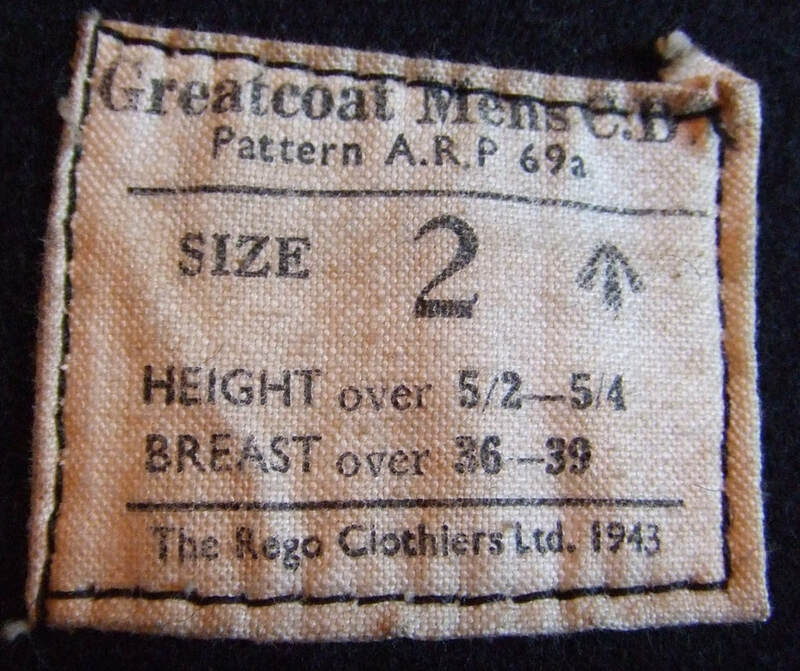 Overcoat Pattern No. A.R.P. 69 label. 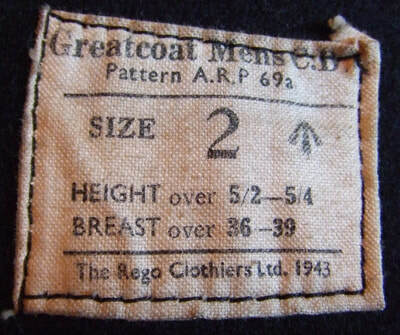 Greatcoat Mens C.D. Pattern A.R.P. 69a. 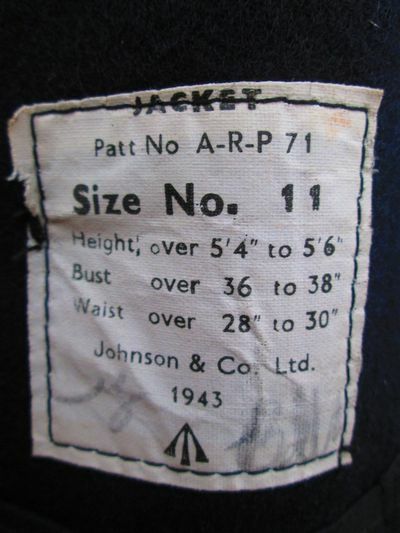 Stamped ARP Pattern 43 Ladies Drivers Coat. Jacket Pattern No. A.R.P. 71 label. Battledress Blouse Pattern No. A.R.P. 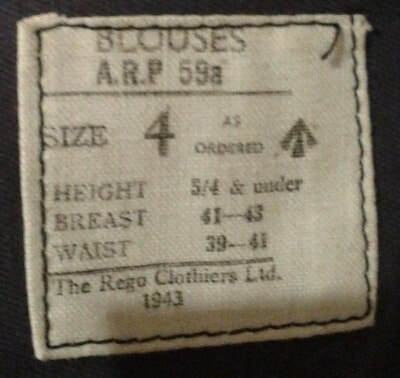 58 label. Battledress Blouse Pattern No. A.R.P. 57a label. 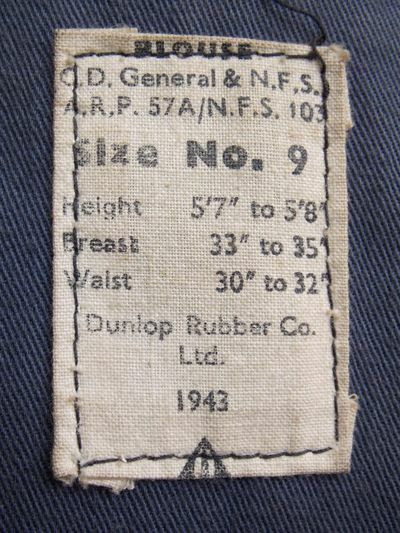 Overall Pattern 47 (Women;s Wrapover) Label. 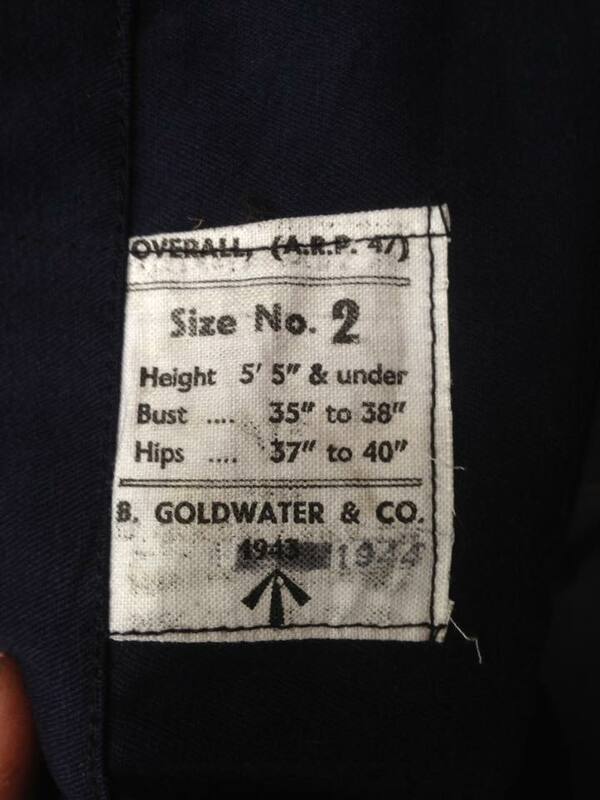 Bluette Overalls Pattern 41 Label. From time to time, actual sealed pattern items turn up that fill in the gaps above. Sealed patterns were distributed to manufacturers to ensure that they all produced items the same. There are a number of known items that currently have not been identified in the above list. If you have categorical evidence of the pattern number please let me know.